Dhaka, 23 April, Abnews: Kareena Kapoor Khan might be in the limelight right now for one of the most anticipated films in the Bollywood industry titled, ‘Veere Di Wedding’ since it marks her comeback after her time off. However, we are slightly more excited for an upcoming film which is yet to released. 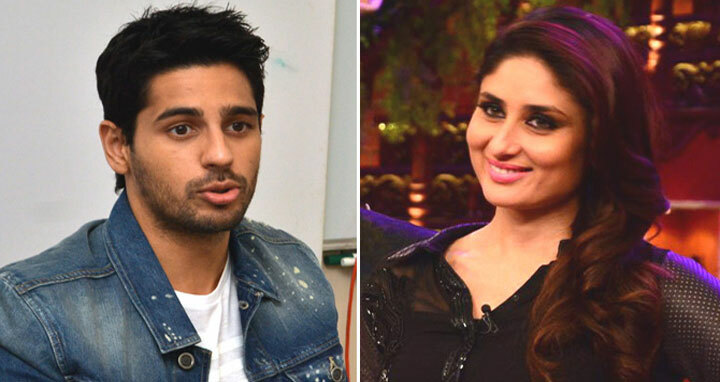 Reports suggest that Kareena’s next on screen romantic interest might be Sidharth Malhotra for a project that she has already signed up with Karan Johar’s Dharma Productions. According to reports, Raj Mehta who was a part of ‘Dhadak’ will be in charge of his first feature film with this new star studded project. Karan Johar, who is yet to divulge any more snippets regarding the untitled project, is also said to be looking for another star-couple to star next to Kareena and her on-screen hero. Kareena Kapoor Khan will soon begin promoting her film ‘Veere Di Wedding’ which will hit the screens on June 1, 2018.